Our house is a 4rooms flat bto but it feels like the size of a 3rooms flat instead. So in order to make our house looks more spacious, we've hacked away partial of the room's wall that is next to the living room and also the kitchen wall to maximise our living room space. 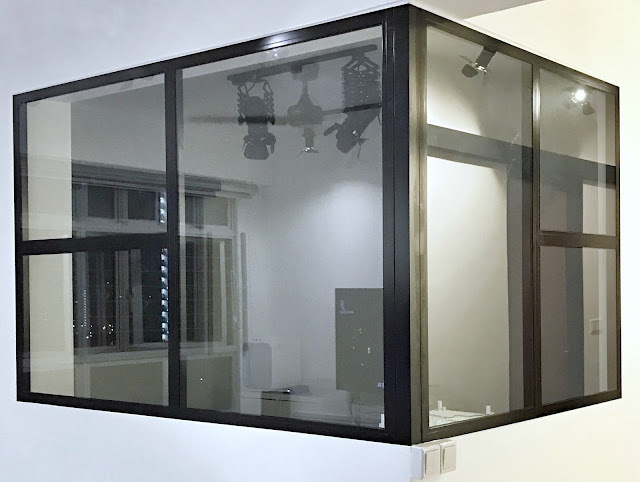 We wanted to have a glass partition for the room where we've hacked the wall away and a glass door for our kitchen. 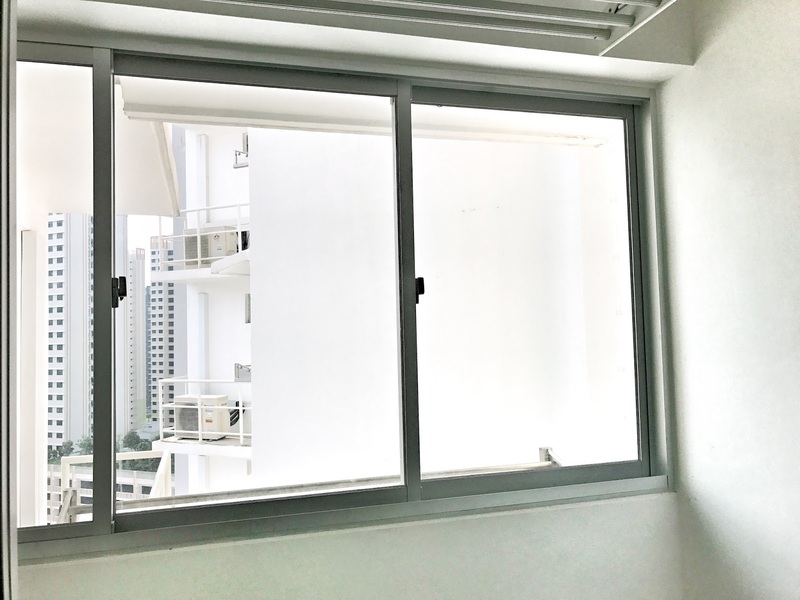 We feel that having a kitchen door is essential for us as we have a baby running away so a kitchen door will keep our baby away from the kitchen. It's definitely a nightmare to have a baby sneaking into the kitchen where there's fire, scotching hot water or even sharp knives! Tip for all parents or going-to-be parents who are planning to do renovation! After doing research and going around asking for recommendations, we have decided to engage Wellmax Metal Works. We first sent in our enquiries, within a couple of days JianHao managed to liaise and arrange for an on-site meeting. During the meeting, Jianhao is able to click with us on our desired idea and design. He even gave interesting idea such as hiding our switch wires in the glass frame casing so we would not have unsightly casings running around the glass panel partition. Our kitchen is very small because we've hacked away the kitchen wall and pushed the kitchen back in to create a bigger living room. 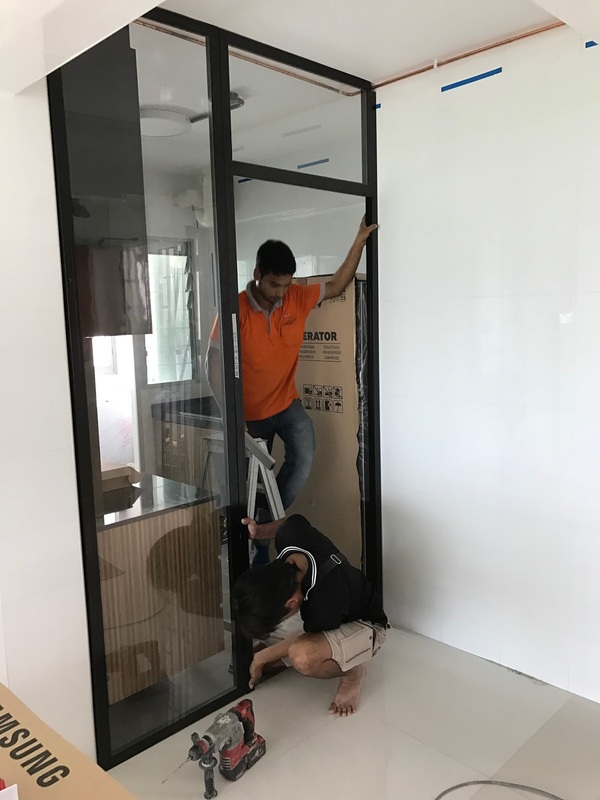 So after understanding our layout and needs, Jianhao adviced to install swing door instead of sliding door for our kitchen as the tracks of the sliding door will take up more space of the kitchen and resulting in a even smaller kitchen. 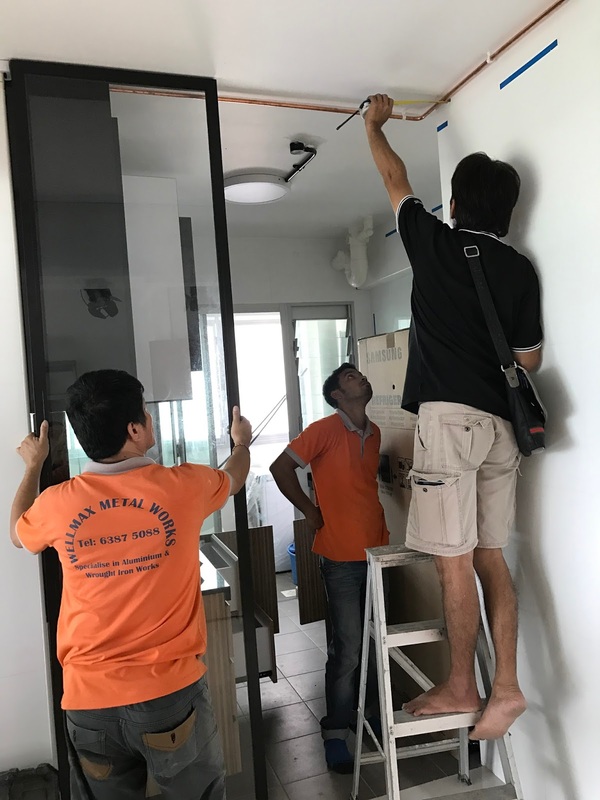 After confirming the designs and quotation, Wellmax Metal Works then proceeded with our order and took another trip down for the installation guys to plan how to build and install the room glass partition, kitchen fixed glass panels and swing door. Jianhao even took the effort to understand my moving in schedule and arrange everything to be installed almost 2 weeks before my moving in day so there's still some room in case of any hiccups. They did the installation of the room glass partition very efficient and the whole process took roughly 1hour. 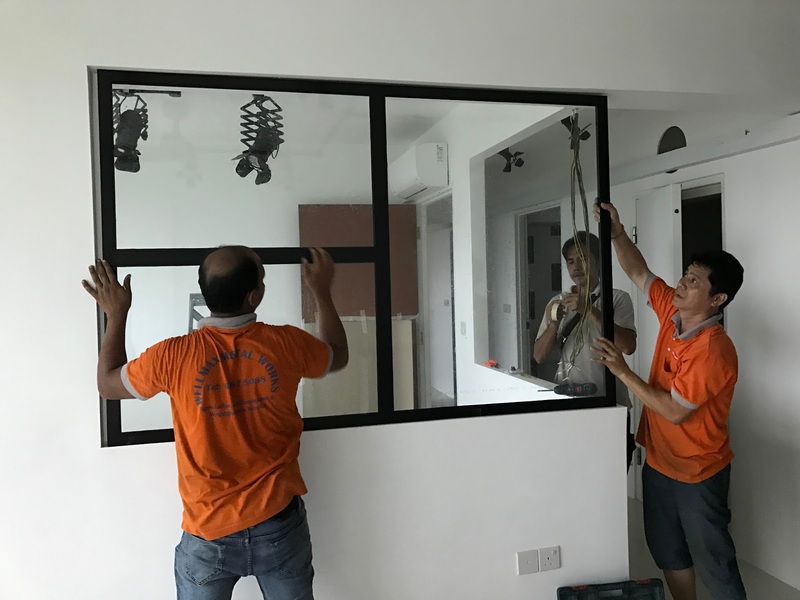 Once they've fixed the glass partition, they filled up all the gaps between the walls and the frames to ensure its all nicely sealed. As you can see from this photo, there's quite a huge gap between my wall and the frame because the previous hacking company did not do a perfect job. Luckily Wellmax Metal Works is able to conceal all the gaps very well. 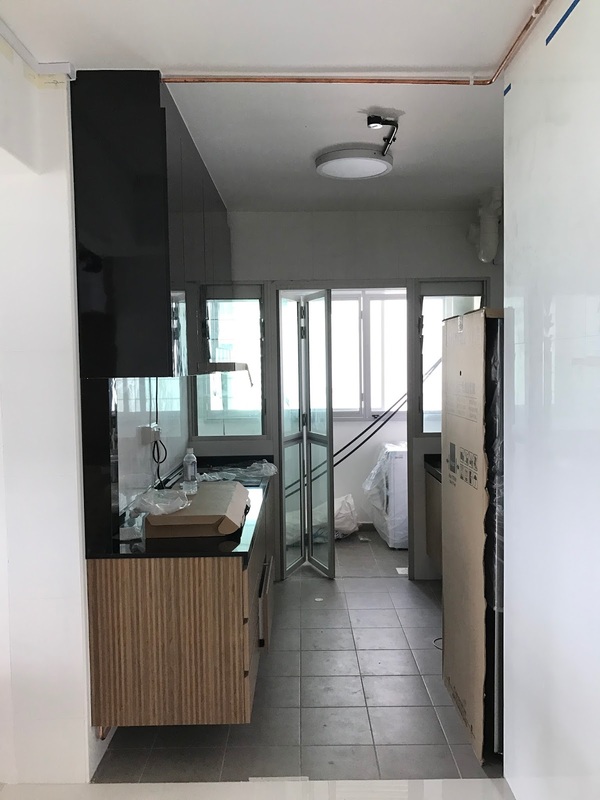 However, they didn't manage to install the kitchen fixed glass panels and swing door on the same day. 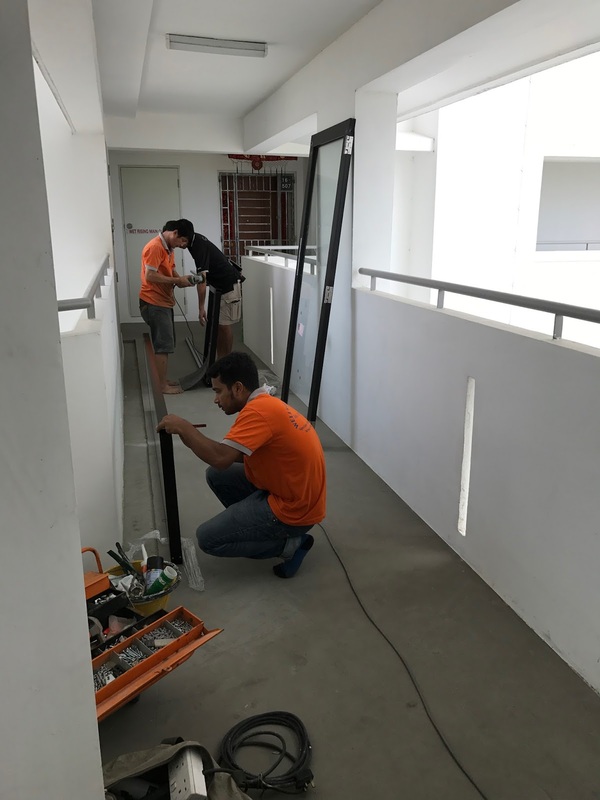 They've called a few days before the installation date to inform that they found some scratches on the glass so they've redo the glass, hence the delay. 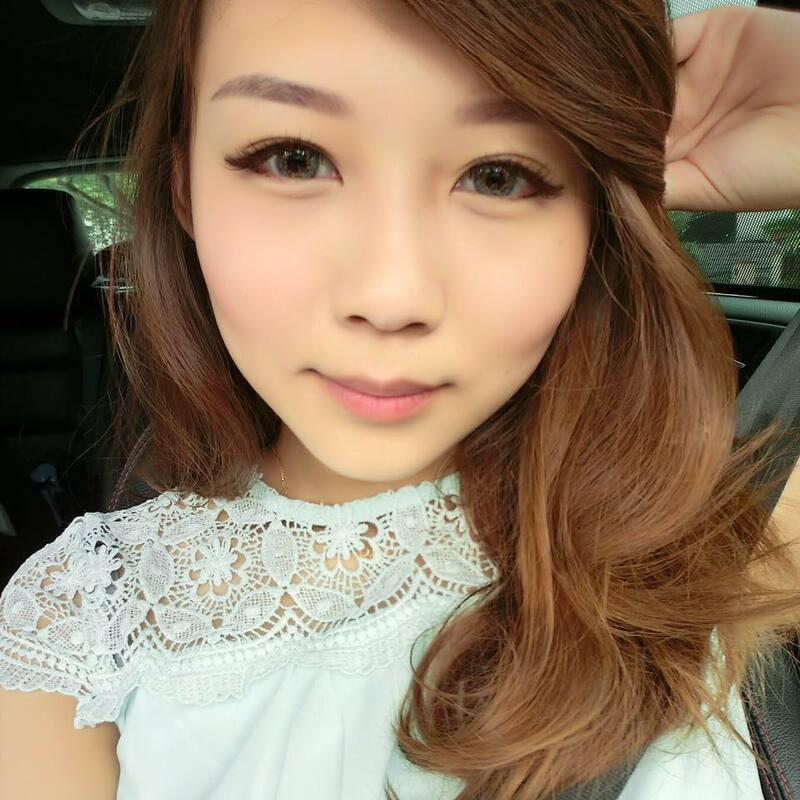 Fortunately, Jianhao had catered some buffer time before my moving in day, so it did not affect my moving in schedule. 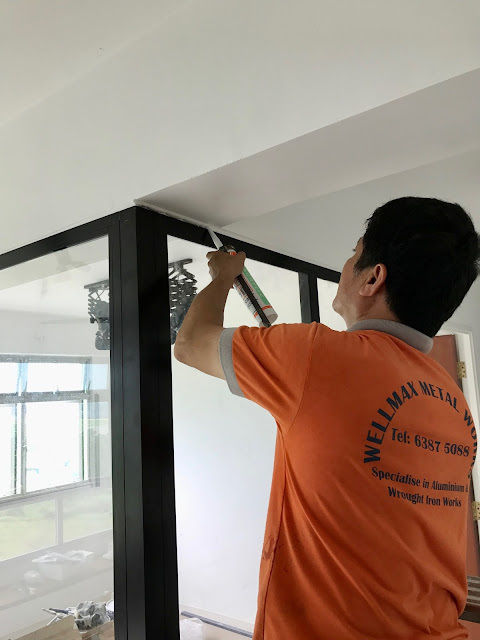 With their stringent checks, I am very happy with their workmanship and quality. They really do ensure their workmanship and quality before delivering their works to their customers. 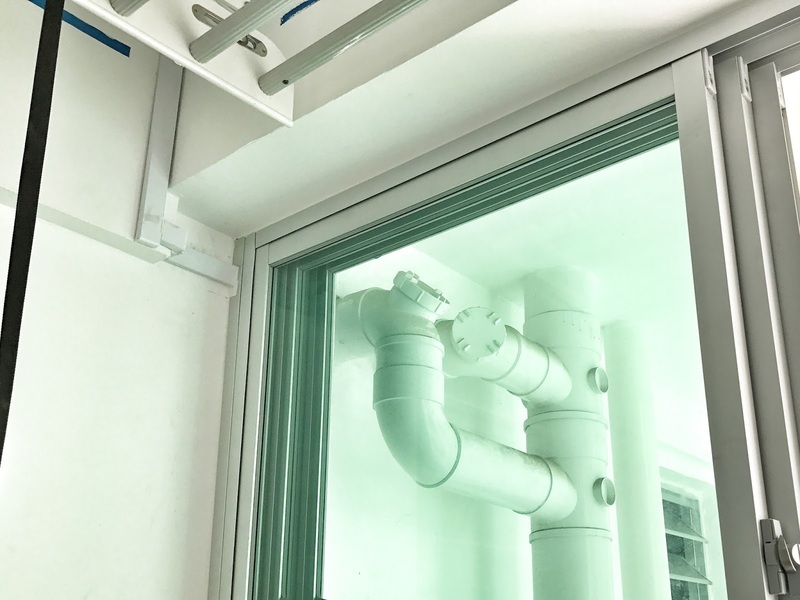 During the kitchen fixed glass panels and swing door installation, first they measured the hole they've cut out for the gas pipe to ensure there's no room for error. Then they proceeded to do the work along the corridor so they could minimize the dirt from the drilling and etc. 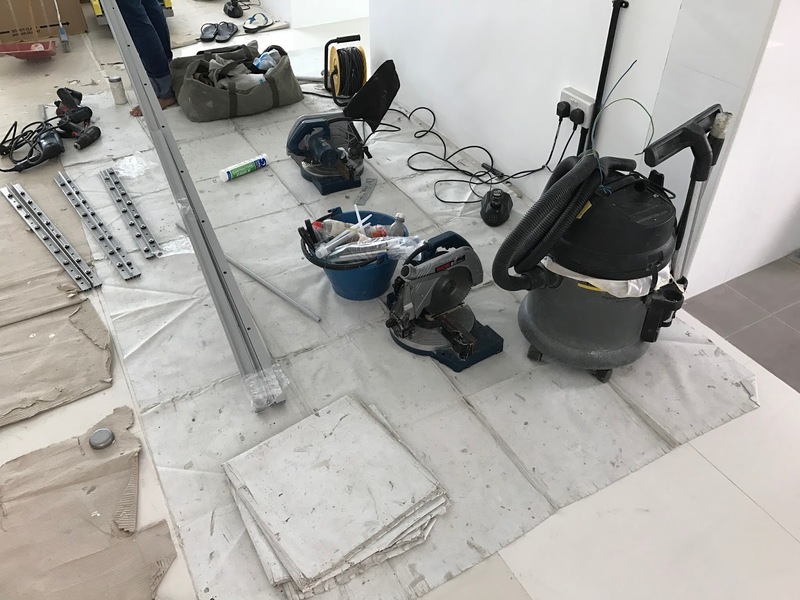 During the installing, they used to level to check that everything is upright straight and stable which I am very impressed. 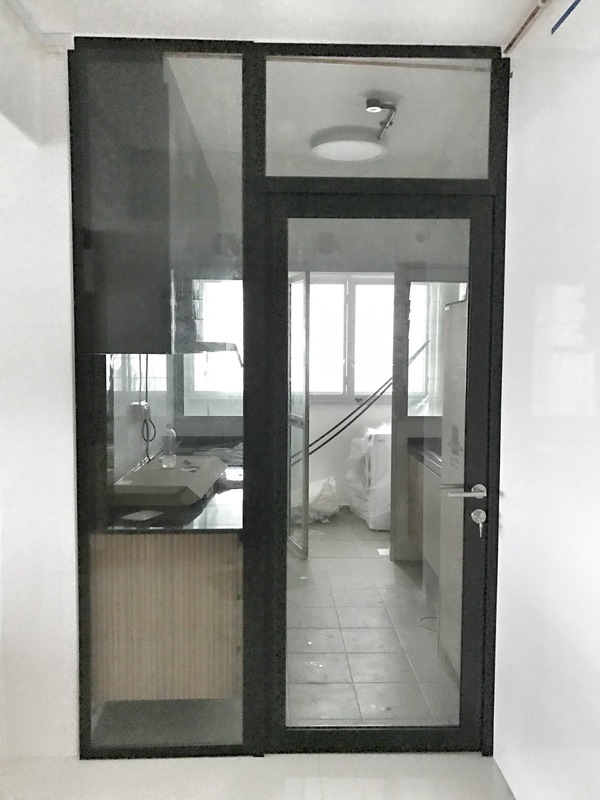 I have friend who had a very bad experience that her kitchen door is pretty slanted outwards which she had to complain and get them to fix the issue. The installation of the kitchen glass panels and swing door took about 2.5hours. This is the end result of my fixed glass panels with swing door and I love it so much! Its functional and so pretty! 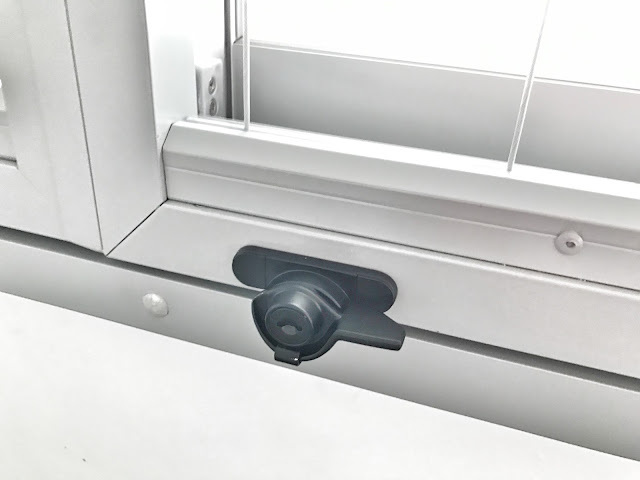 The swing door is totally customizable from swinging towards left or right to swinging inwards or outwards. So far I've really enjoyed my renovation journey with Wellmax Metal Works. They are really friendly bunch of people, great quality and workmanship. I have received sponsorship from Wellmax Metal Works to facilitate this blogpost. All opinions and views are my own personal. Who doesn't love free samples! I LOVE THEM!!! I have compiled a list of free baby products samples ranging from diaper, milk powder to skincare. In order to receive the samples, usually it would require filling up of particulars. 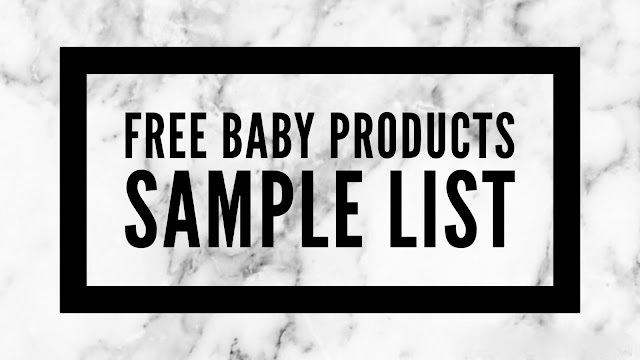 So please be prepared to filled up many many particular forms if you're intending to request for all the baby products samples listed below. Hope all the parents can benefit from the samples! With a baby in the house, installing window grille is definitely a MUST HAVE item for house renovation due to safety reasons. 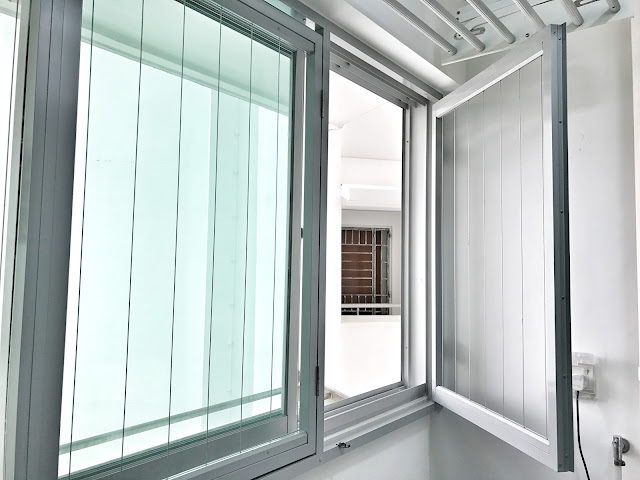 Currently there are several types of window grilles in the market but the more popular choices are aluminum window grille and invisible grille. In my personal opinion, invisible grille is the obvious winner. It is super easy to clean and maintain which means lesser cleaning chores for me! 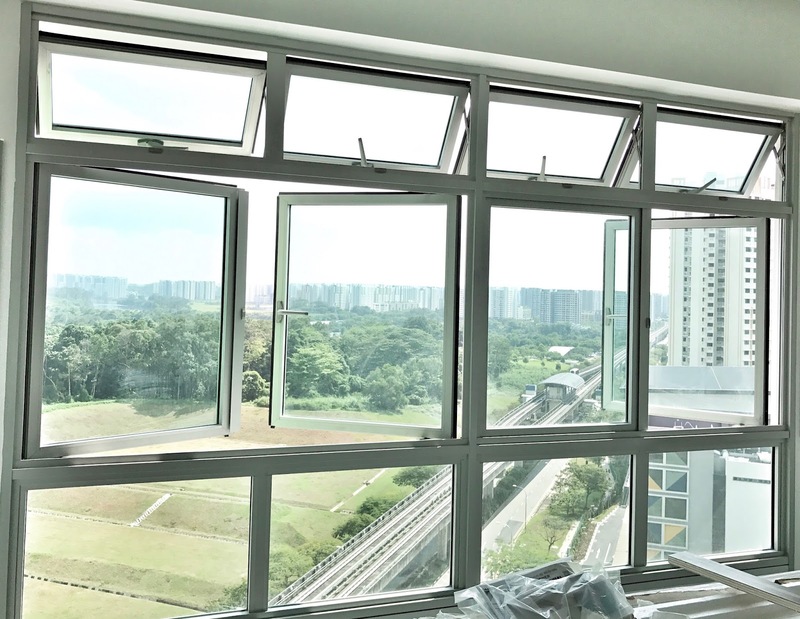 *yayyyssss* Plus its definitely way more stylish as its almost transparent and does not obstruct the views. The only downside about installing the invisible grille is probably the price as its more expensive than the aluminum window grille. After deciding on the type of grille, I went around comparing and researching on different companies. 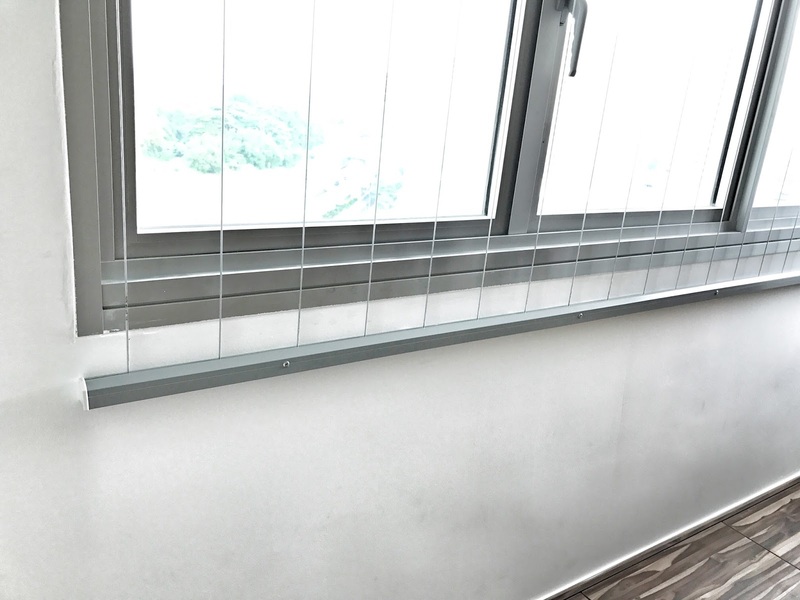 Finally I've found Home Grille Pte Ltd - Invisible Grille! I have been liaising with Derek and he provides really great services plus he has great knowledge on renovation which really helps us a lot. 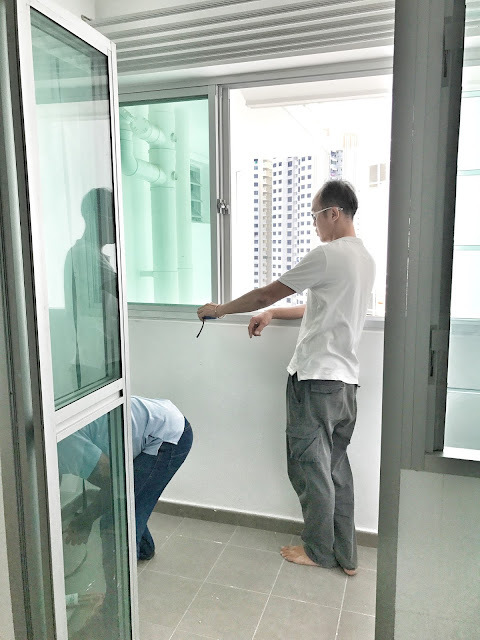 During the measurement and consultation, not only did he just take the measurement, he observed hairline cracks around our windows and informed us. He also managed to help me to spot some defects which we've overlooked previously. 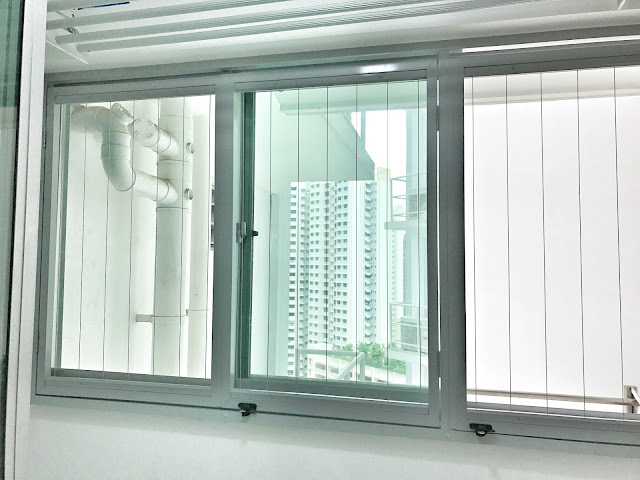 After taking the measurements, he recommended fixed invisible grille for the living room and all bedrooms, whereas the service yard would be movable casement frame invisible grille as we need to have access to the aircon ledge which is located outside the service yard. He also explained to us the difference between horizontal and vertical grilles. The invisible grille is highly customizable from the direction of the grille to the gap between the grille. In addition, he also taught us how to clean the invisible grille so as to maintain the grille at its best state and not affect the life shelf of the grille. 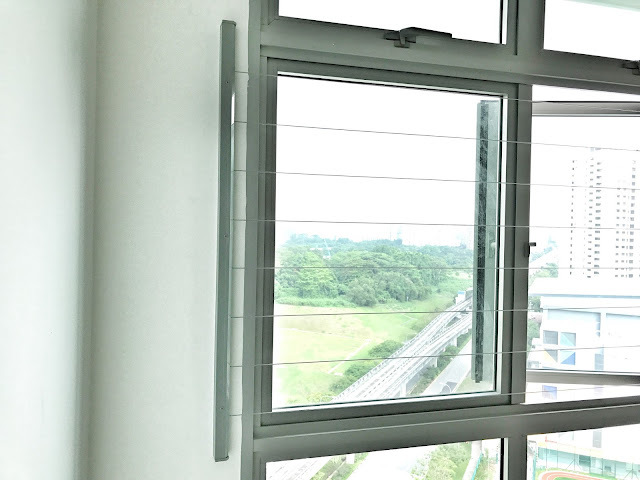 I feel that Derek is very honest as he did not try to upsell by recommending to install all movable casement frame invisible grille as it would have costed a bomb. Instead he recommended the best budget friendly option for us. Before he left, he saw our bathroom water heaters have yet to be installed, he gave some recommendations on the type of water heater which consumes less electricity. I am really impressed by his overall services. I would say he really does go an extra mile for his customers. The installation took place slightly more than 1week after the deposit was being placed. The guys came and double confirmed our orders and took double measurements before starting the installation. I like that they actually brought their own mat to place around the floor to prevent dirtying the floor. I'm not sure if its a norm but its just something I really appreciate. Once they started their installation, I left my house and went around chilling. 1hour before they completed the installation, they've called to inform me so I could go back and check the end product. 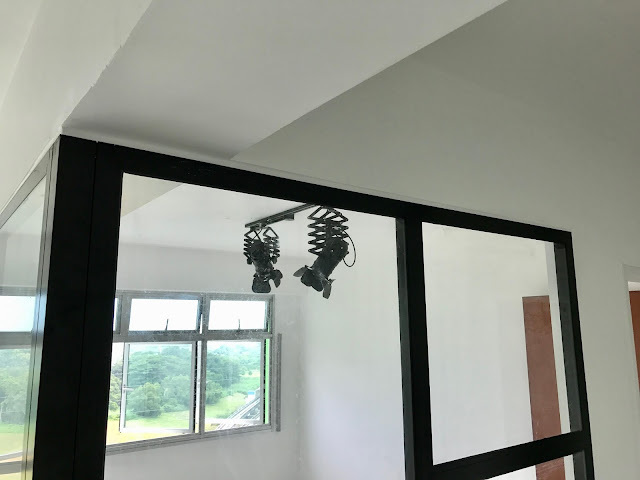 When I reached the house, they were already done with majority of the installation and doing the touch up. After the installation of the invisible grille. 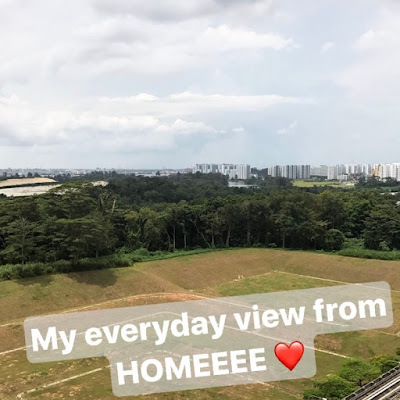 My beautiful view is almost not obstructed by the invisible grille which means I get to enjoy my view, yet still get the safety measures in place for my baby. 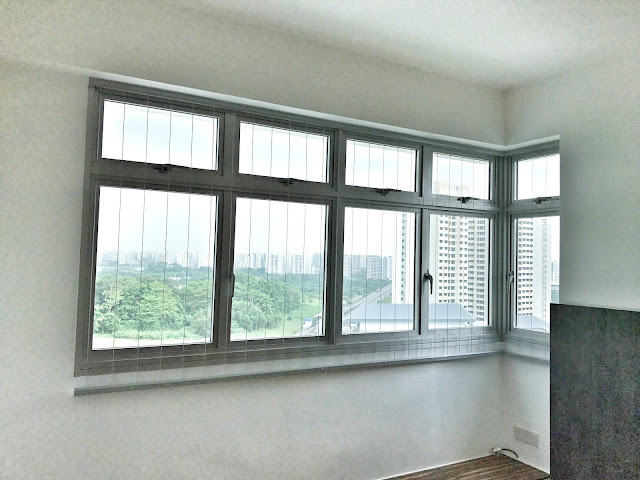 View of the vertical invisible grille from the master bedroom. Due to the L shape windows, we have to install vertical invisible grille instead of the horizontal but we still love the effect so much! I love that the frame of the invisible grille is really sleek and slim. Can see from the photos that the installation did not do a sloppy job or destroy my paints and that they've done a pretty good job for it. 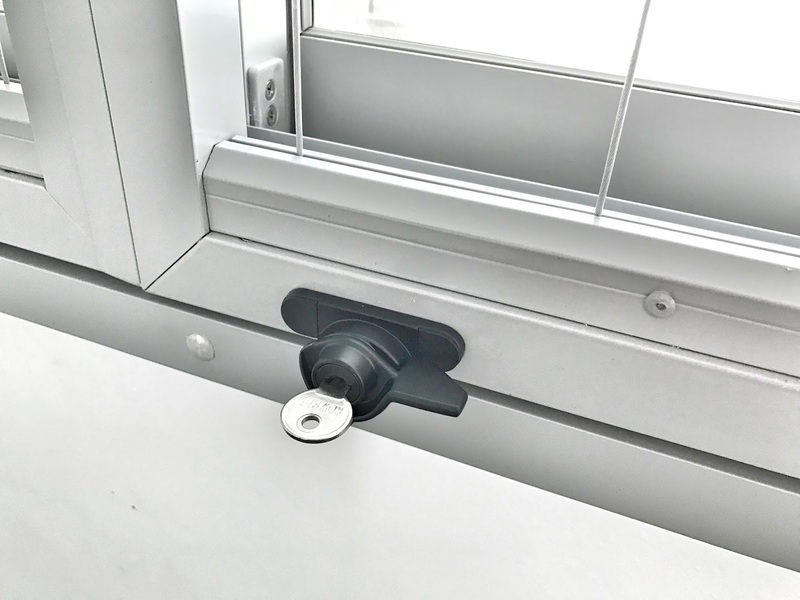 It comes with key lock so its much safer for families with young children. The whole installation process took about 4-5hours. After I have done a thorough check of the work done by Home Grille and satisfied with the result, then the guys packed up and left. Before they left, they still vacuumed my house. *thumbs up* My house is super in need of a good vacuum, it has collected tonnes of dusts from the renovation. Plus they really have a good faith in their workmanship and quality as they offer 5years warranty on the grille. 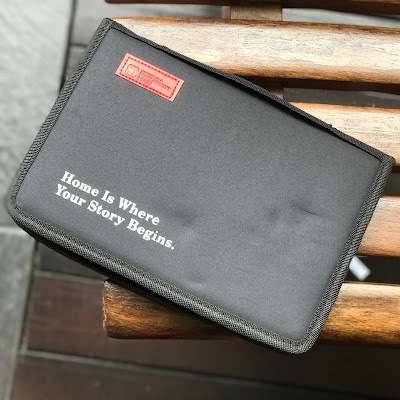 So far my experience with Home Grille has been great & been loving their invisible grille! Will be updating this space for more renovation tips and reviews! Stay tune!.. I have received partial sponsorship from Home Grille Pte Ltd to facilitate this blogpost. All opinions and views are my own personal. Story cut short, I have to go around sourcing for windows companies to install my service yard window. I was in quite a rush to have my service yard window installed, therefore apart from the pricing, I have to factor in the waiting time for installation as well. I have approached a few window companies and their pricing have quite a big difference. Some companies quoted me $580, some $650 and some $500. Another thing to take note is warranty, different companies have different period of warranty ranging from 3months to 24months. 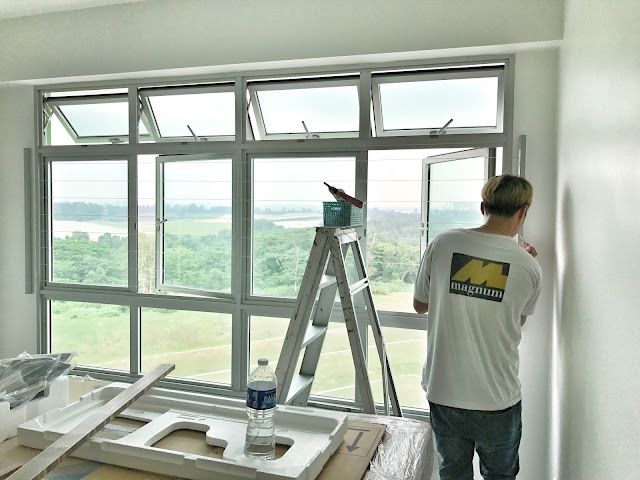 So it is crucial to find an affordable company which provides fast installation and reasonable warranty period. I was trapped between Window Grille and Super Window as my choices. Both offer pretty attractive prices. Window Grille is offering $500 with 2 years warranty on manufacturing fault and seepage. 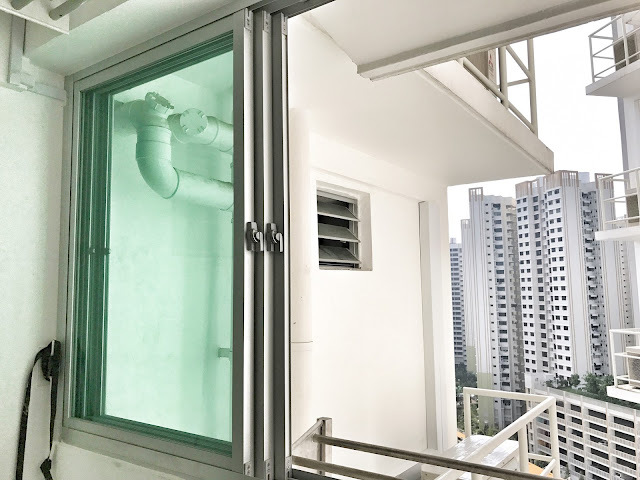 Super Window is offering $480 with 1 year warranty on seepage and 6 months on parts. 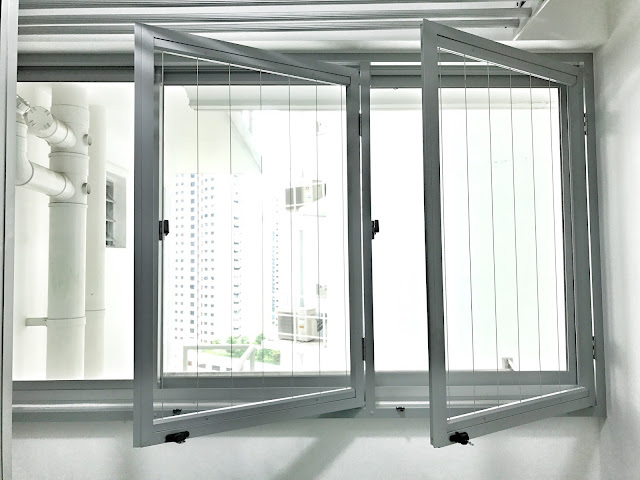 Upon comparing, of course I would have gone for the Window Grille, even though its just more expensive by $20 because of the 2years warranty. Unfortunately, the waiting time for Window Grille is 1month which I don't have the luxury of time to wait that long. So in the end, I went ahead with Super Window which only needs to wait about 7 to 10 days plus their Facebook seems to be filled with positive reviews. I have contacted Super Window on Monday to arranged for the measurement appt on Wednesday and the guy from Super Window said would arrange but I've received no updates at all till Tuesday evening. So as to double confirm the measurement appt, I msged him on Tuesday evening for confirmation on the appt. Up till this point of time, I felt that their service is a bit lacking but still acceptable as they might have overlooked my appt and forgot to slot my appt in. Upon the measurement appt, the boss just came, took the measurement and left. No explanation of the windows or letting us know colour options for the window. No conversation at all. And here come's the beginning of the bad experience with Super Window. 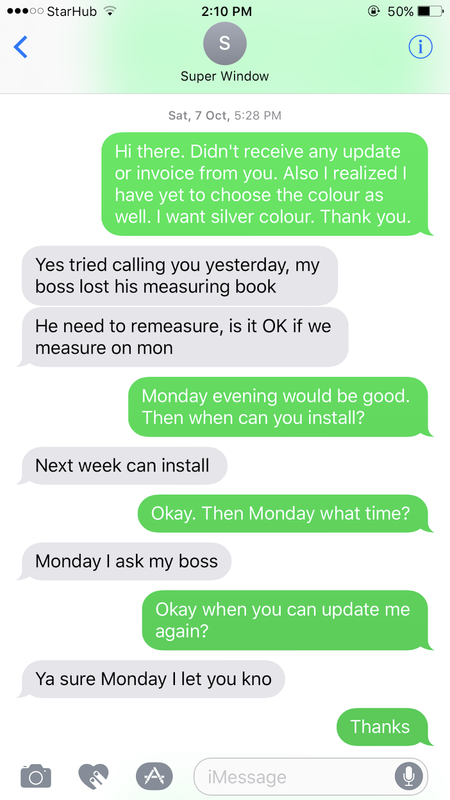 The boss who took our measurement actually lost his measuring book and required us to go down to the new home to meet him for another measurement taking. At this point of time, I was pretty annoyed with their services already because due to their negligence, I have to travel all the way to the new home just for them to take the measurement again which is what I wasn't expecting from company with such great Facebook reviews. The horror part is actually on the installation day itself. My installation appt was supposed to be at 10am. 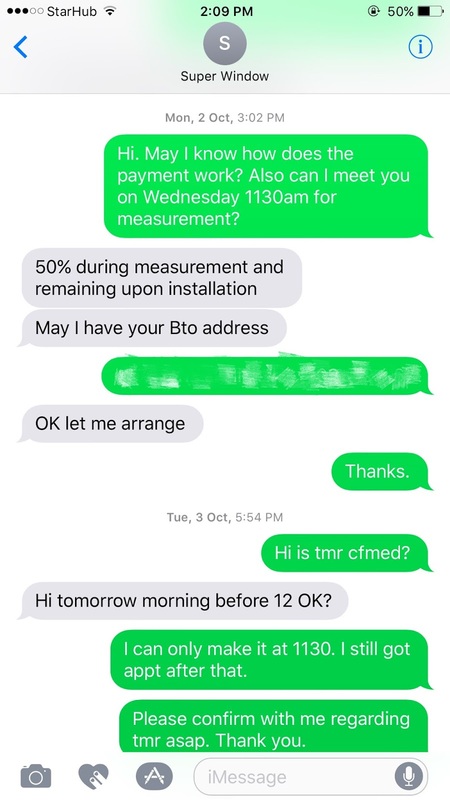 However at about 10am, the boss called to inform that his guy was stuck in Malaysia due to his bike broke down and if we can change our installation date. 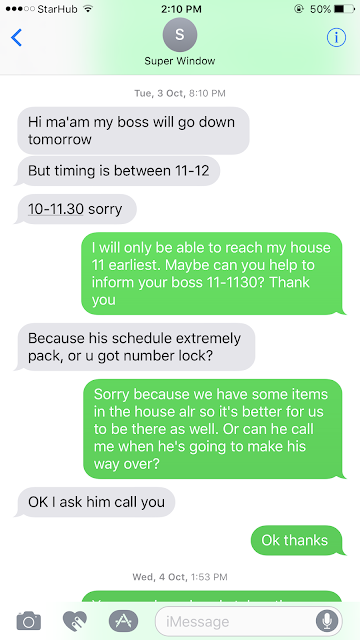 Collin purposely took leave to be there for the installation so I requested for them to solve their issue and be there for my installation as promised by them. The boss said he'll get someone else or so to be there for installation about 1130am which I was totally fine. Then about 11plus, he called again to inform that his guy (who was initially stuck in Malaysia) was rushing back and would reach about 1230pm latest. ITS SUCH A NIGHTMARE!!! I seriously don't need such drama from them. All I need is for them to install the window which I've paid for. As promised, they've arrived before 1230pm and started on the installation. ANOTHER NIGHTMARE APPEARED... 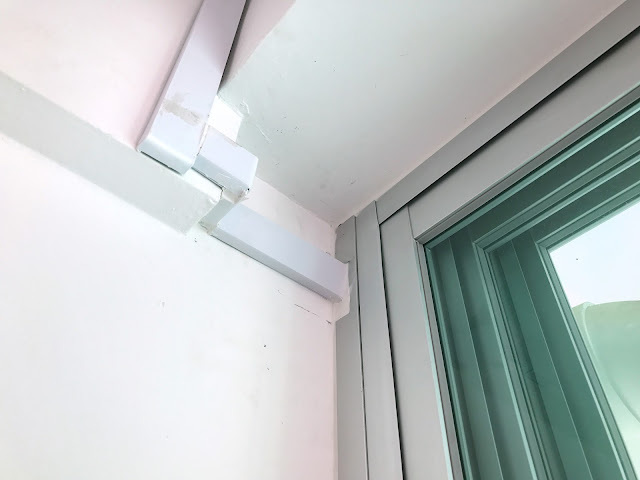 I have a little pipe running from indoor to outdoor so the window frame has to cater a hole for the little pipe which the boss has already taken the measurement of it. 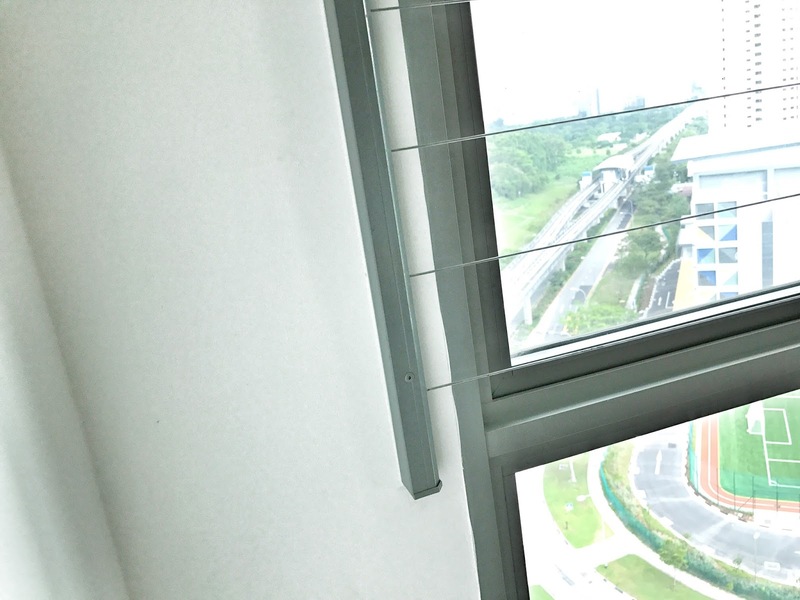 When they started installing the window, they realized they've cut the hole wrongly. I don't know if they have taken the measurement wrongly in the first place or they just anyhow cut the hole. It totally makes me feel like what's the point of wasting my 2 trips of measurement takings when the company is just not gonna take the measurement seriously? 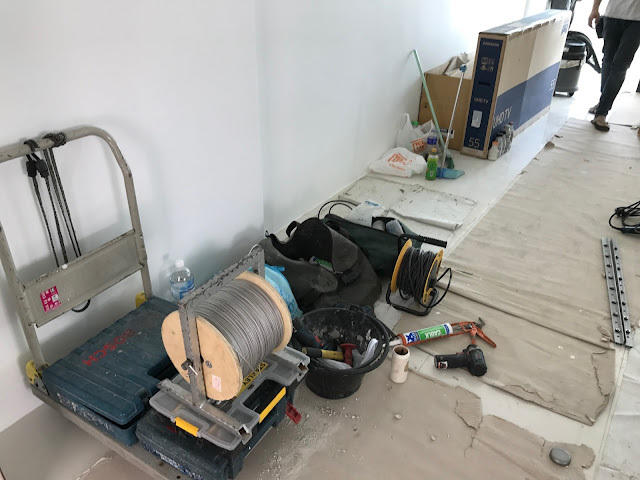 Then to solve the issue, they cut the hole even bigger to fix the little pipe and fill up the gaps with fillers which is quite unsightly. Its not super duper obvious but it just felt like the overall window work and service is totally not what I've paid for. Overall I feel that any other window companies would have done a better job and its definitely not worth my money. I would definitely not recommend Super Window to anyone. Apart from the bad service and unsightly hole, I hope the window would survive for many years to make up for the bad experience. I am just writing my very own personal review on Super Window as a frustrated and disappointed customer after a series of unpleasant incidents with them. Hopefully I'm the only unlucky customer of Super Window that has such bad experience. 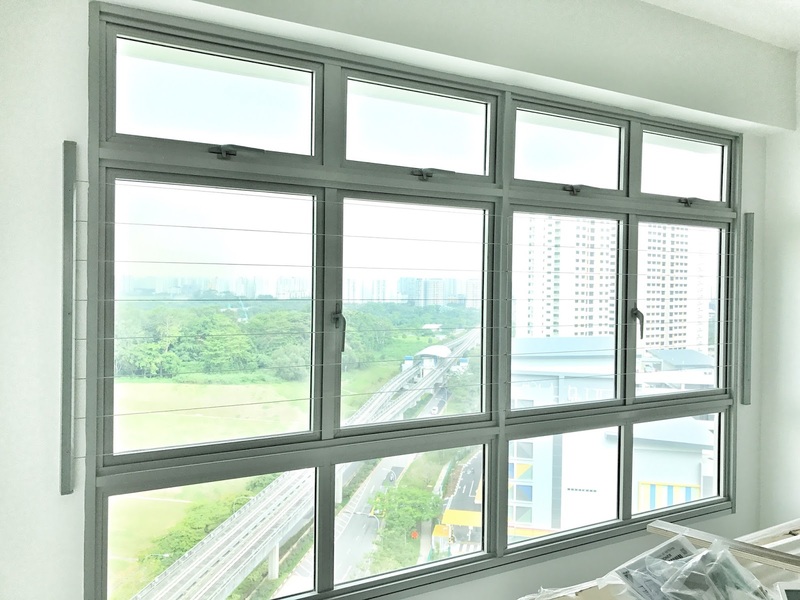 I feel what Super Window can improve on is their customer service and workmanship. 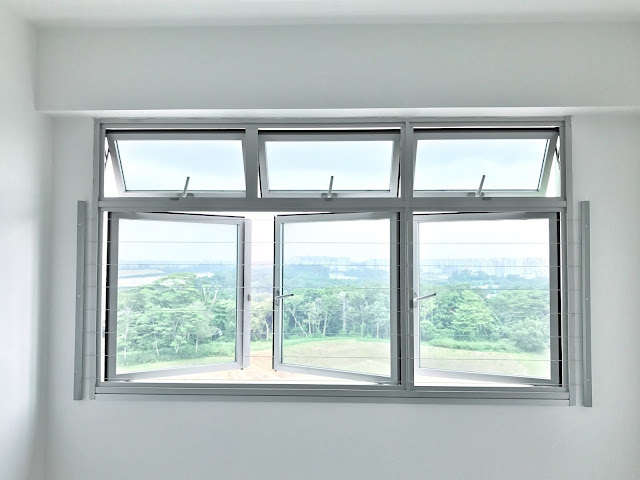 Anyway after the installation, I have found there are a few window companies offering at $450 with 1year or so warranty. So a piece of advice, please do your research properly before engaging any services. Disclaimer: I am in no way affiliated to Super Window Pte Ltd or any window companies. All views and opinions are my own personal. 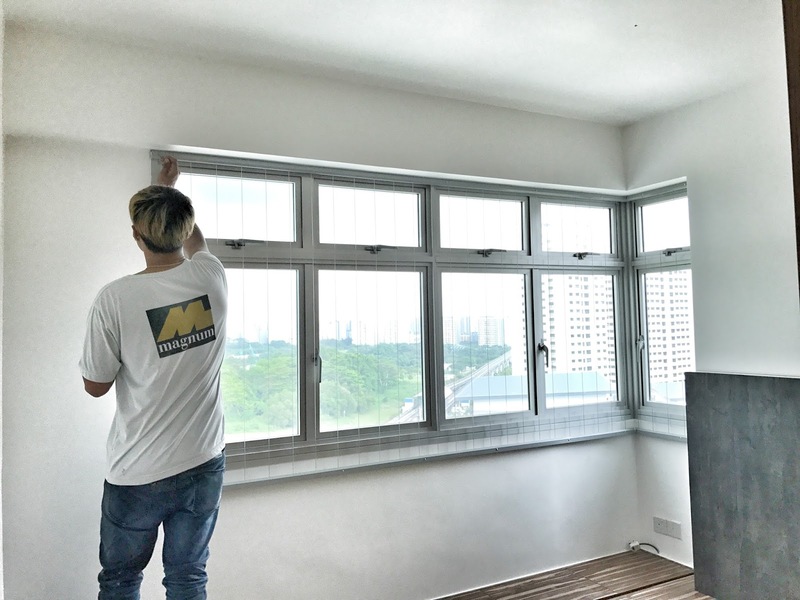 Being a first time home owners, I am so thrilled to move in but before that, there are so many things to be done and completed. Defects checking is definitely the first thing to be done before progressing to the renovation. It is a very tedious task under a dusty and hot environment. 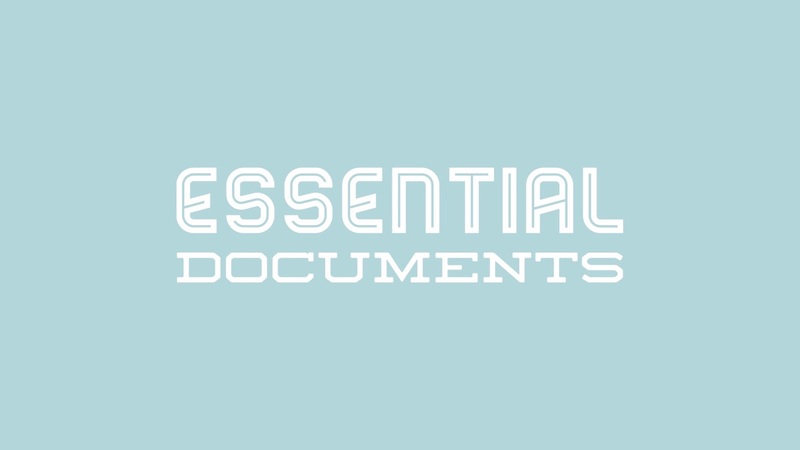 To make the task and life easier, there are some things to bring along! 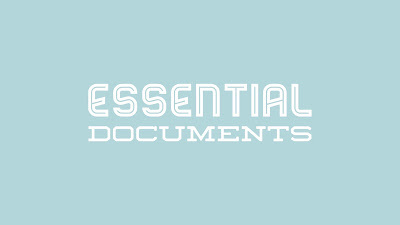 With all these items mentioned above, you should be all good to go for your defects checking! 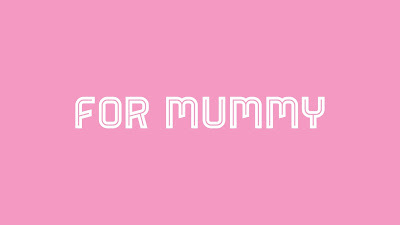 Being a first time mummy, I was totally lost when it was about time for me to pack my hospital delivery bag as no one told me exactly what to pack and what not to pack. Hence I had to go around different websites to cross reference and come out with my own packing list. So here I am sharing with you guys my hospital delivery bag pack list! 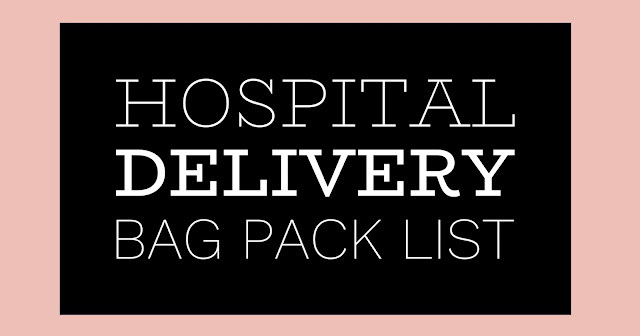 I hope this post will be exceptionally helpful for mummies who need a guide for their hospital delivery bag pack list. Well, I hope the list above has been helpful for your packing. Do let me know if I've missed out any item in the list! We have applied for a SBF unit during November 2016 and after months of wait, we have finally gotten our keys! YAY!!! On the keys collection day, our appt was 9.30am but we reached earlier at 9am. First we took the Q no. for the keys collection at the Self Help Machine and went on to purchase the Fire Insurance from ETIQA, Counter 1 located at level 1. There are 2 type of plans: one is the basic plan which costs $5.50 for 5 years or the more enhanced plan which costs $300+ for 5 years. 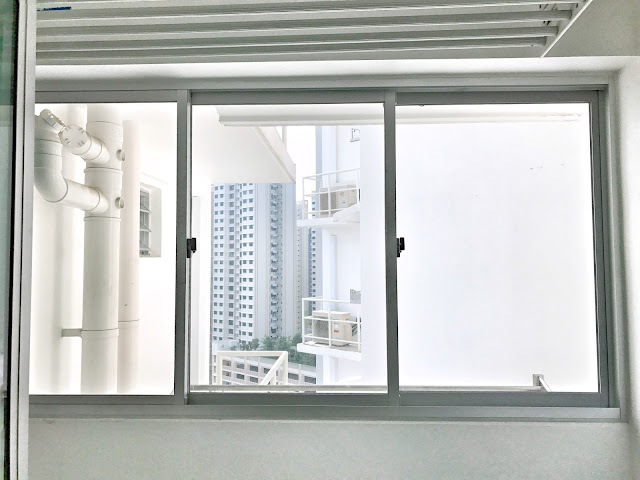 Looking the at difference in the prices and the coverage summaries, we decided to be kiasu and went ahead with the enhanced plan which we feel its still very good deal for $60+ per year and we get a peace of mind. The whole Fire Insurance process only took about 10min. Next is to wait for our Q no. to be called. We waited about 20min for our turn. This part is all about having the hdb officer explaining the process and we signing a bunch of paperworks. The officers are all very friendly in general so feel free to ask any queries regarding your new home. It is very important to collect the Defects Forms from the officer cause you'll be needing it to fill in all the defects found in your new home. After 15min, WE HAVE FINALLY GOTTEN OUR KEYS!!! 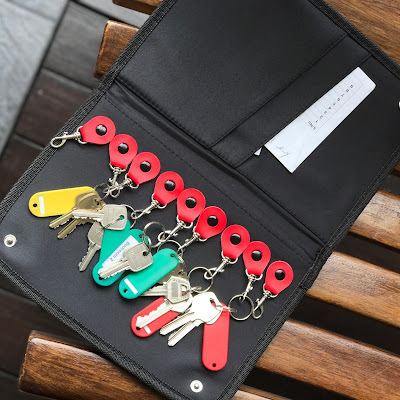 Upon receiving the keys, please make sure you have collected the right number of keys! But we are not done yet, we have to go to make payment for the Conservancy charges at level 3. It costs about $60. Followed by heading to SP Services at level 2 to open the utility account. They will make an arrangement for their guy to head down to the house to turn on the water supply and when our house is all ready, they will come down again to turn on the gas supply (if you opt for SP gas supply). The whole keys collection process took us about 1.5hours. As it gets later, the crowd starts to come in and queues get longer so be prepared for a longer process if your appt is from 11am onwards. © 2016 Your copyright sheythl.blogspot.sg. All Rights Reserved. Powered by Blogger.